The affordable, effective & natural lung physiotherapy. 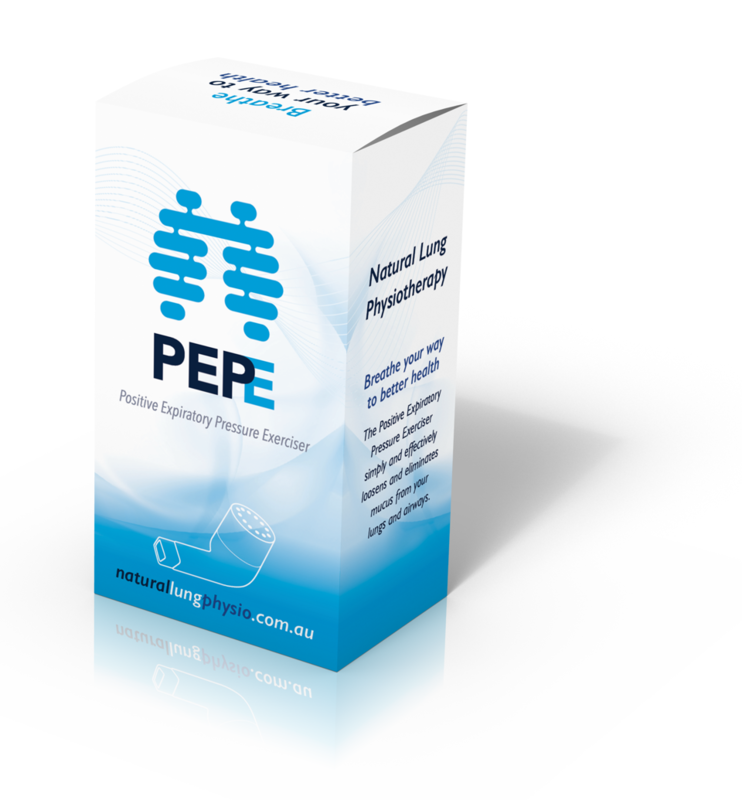 The PEPE is a hand held natural lung physiotherapy device that helps facilitate mucus clearance. The PEPE uses both Positive Expiratory Pressure and oscillations. Over-the-counter medication simply relaxes the muscles and relieves inflammation, it does not clear the build-up of mucus in the airways. The accumulation of mucus in the lungs causes a decline in lung capacity. The Positive Expiratory Pressure Exerciser or PEPE device effectively clears mucus from the airways and strengthens the lungs. The PEPE device is a lung exerciser that is suitable for athletes as well as physically active people by increasing lung capacity. This combined actions helps move the mucus up the airways so that it can be coughed out. Daily airway clearance with the PEPE can help break this cycle of lung infection and damage. In many chronic pulmonary conditions there is a build-up of secretions in the airways. These secretions, when stuck in the airways, make breathing difﬁcult, can block air passages, and provide an ideal environment for bacteria to multiply Therefore, airway clearance can be critical to your treatment. Daily airway clearance and lung expansion with the PEPE can help break this cycle of lung infection and damage. 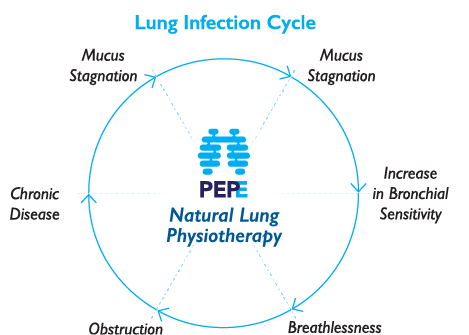 The PEPE natural lung physio device vibrates the airways which loosens mucus and secretions from the airway wall. The intermittent increase in pressure helps keep the airways open during exhalation so that the mucus does not become trapped and can move up the airway. The rapid exhalation that creates the oscillations helps push the mucus up the airway to where it can be coughed out. I tried one at the hospital but it is different & wont even lock when i tried to put it together. It was red colour. Thank you Angelita we are glad you enjoyed our product and preferred it to the alternatives. My husband has lung disease and we were recommended that we got a flutter. Absolutely wonderful. Easy to use and small so he can pop it in his pocket.